People may not remember the struggle to protect free speech regarding AIDS&HIV, which was offensive to some. Some were wrongfully fired for their speech regarding HIV&AIDS. How could we save the lives of our friends in the gay community, if we couldn't talk about their lives and their disease? Yet, our speech rights weren't respected. How could we warn our friends of HIV&AIDS dangers, if our speech rights were not respected? It may be difficult for young people to understand how free speech activists were required to stand up for those who were promoting condoms, or describing gay lifestyles or the mode of disease transmission. At times, government was not the problem, but many lives were endangered by widespread intolerance in the general population. Honestly, if you will not receive valid criticism, your life may be in dangered, and we respect expression in order to protect life itself. Will 2014 be the year you lose access to supplements? Act Now! access to supplements and healthful foods? Not if ANH-USA can help it. Donate now! Recently, I told you about Senator Durbin’s relentless attacks on supplements, the more than twenty state GMO labeling bills being considered in 2014, and the disastrous NDI draft guidance. I asked for your help to raise $30,000 to draft GMO labeling legislation, to educate decision-makers, and to pay for potential lawsuits to protect your rights. Hundreds have already responded generously—but we still need your help! We need GMO labeling for Frankenapples and mutant breeds. Increasingly, companies such as Monsanto are pushing dangerous new technologies like mutagenesis, which uses irradiation to scramble thousands of genes at random. This results in even more unforeseen health effects than GMO engineering, as terrible as that can be. Of course, we’re fighting against “foods” like this coming to market. But if they do,they must be labeled. We simply can’t risk our families unwittingly becoming victims to the Great GMO Experiment. Foes of GMO labeling laws are desperate—and dangerous. Beasts are at their most menacing when they’re cornered: Big Food is spending millions to defeat state initiatives (in Washington State, they spent $11 million in illegally laundered money). Clearly, industry is running scared, but we can’t stumble at the finish line. In 2014, we’ll use your donations to champion Your Right to Know. NDI draft guidance + Senator Durbin’s anti-supplement bills = Catastrophic outcome. The NDI draft guidance could remove 30,000+ supplements from the market, while Sen. Durbin’s anti-supplement bills would give FDA the green light to regulate supplements like drugs (meaning that nutritional supplements would either disappear from the shelves entirely or be taken over by Big Pharma). Next year, ANH-USA is launching a proactive advocacy, legal, and educational strategy to stop the guidance and Durbin before you feel their effects. Through your support, ANH-USA makes a difference. We’re your eyes and ears in Washington, DC, taking legal action, translating FDA regulatory jargon, and letting you know about perilous last-minute bills and riders (remember the Monsanto Protection Act?). But we need your help to keep working—please act now, before it’s too late. legal and educational projects. Please give generously. 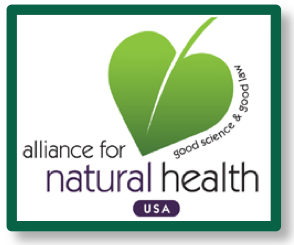 With your donation comes our promise: all of us at ANH-USA will work tirelessly—in the US Capitol and in state capitols across the country—to protect your access to natural health in 2014. P.S. : Still searching for a meaningful gift for a friend or loved one? Make a gift in honor of someone who inspires you to fight for what’s right, and we’ll let your honoree know that you’ve made a commitment to protect natural health in their name. Hi, When Edward Snowden blew the whistle on the NSA, he single-handedly reignited a global debate about government surveillance and our most fundamental rights as individuals. And a federal judge just vindicated Snowden’s actions by declaring unconstitutional the NSA’s spying program, labeling it “Orwellian”— adding that James Madison would be “aghast.” Right now Snowden still lives under threat—exiled in Russia far from his home and his family, and the victim of ongoing public attacks by the NSA and their surveillance allies. But, in a recent CBS News interview, a top NSA official opened the door to offering Snowden immunity. We're on the precipice of a major shift in public support for Snowden, so we need to act now. Let's stand together and tell President Obama to grant whistleblower Edward Snowden immunity so he can come home: https://www.aclu.org/secure/grant_snowden_immunity?ms=web_acluaction_131217_taf Thanks. I just heard from Demand Progress that the NSA and sister agency GCHQ are infiltrating the online gaming community, employing live agents, mass data collection and attempt to recruit informants among users — all without informing a single company or gamer. Online gaming attracts tens of millions of players worldwide, and gaming consoles often include video headsets, live cameras and audio feeds, all of which the NSA has the power to turn on without our knowledge. If we can get Microsoft's X-Box Live crew, the World of Warcraft makers at Blizzard and Second Life creators Linden Lab to protest this dangerously overreaching move, we can secure our privacy and civil liberties and protect gamers from unjust persecution. If you haven’t heard, apples are the single most popular fruit served in school lunchrooms across the U.S. and tragically, a Canadian firm has created a new GMO apple, using a new “gene silencing” technique that could interfere with the expression of genes in humans, even silencing vital human genes, potentially causing serious health problems. Right now, the Obama administration is considering the approval of the world’s first genetically engineered apple, known as the ArcticApple®, which has been engineered to lack the natural browning enzyme that may help apples fight disease and pests. If approved, this GMO apple will appear on shelves unlabeled and without proper regulation. Currently, the Canadian firm, Okanagan Specialty Fruits, is hoping its GMO apple, will be approved in Golden Delicious and Granny Smith varieties, despite the fact that it faces stiff opposition from consumers, apple growers and some of the nation’s leading apple growing associations. Legitimate concerns center on the utterly worthless cosmetic genetic alteration to the GMO apple and the untested new genetic engineering technique used to create the apple. Please sign the petition below: tell the USDA to reject biotech's new cosmetic GMO apple! I want to tell you how you can change the world with your electric bill - by switching to get your energy from Ethical Electric. They're a clean energy supplier and they make it super-easy for you to power your home with 100% renewable, locally sourced energy from wind and solar. Ethical Electric is an explicitly progressive company. They support causes that benefit the planet and advance equality, peace, justice and opportunity. A portion of every month's bill goes to fund organizations like the League of Conservation Voters, Daily Kos and SumOfUs.org. They even have a progressive online campaigning platform, Ethical.org, that fights for issues their members care about. On the other side is a fossil fuel industry that spent over $325 million on lobbying and $125 million on political contributions. They used the money from the monthly bill of customers like you to oppose climate change solutions. While Ethical Electric is a great company that I'm really excited about, this deal gets even better. If you sign up today through the link below, you'll get a $50 enrollment bonus! Make sure to use my referral code "1312052NZCEH" so I get credit! Current theory is that the US studied human exposure to X-rays using the airport scanners. Big experiment. It was shown that many of the X-ray scanners were putting out far more radiation than they were supposed to. It would be no surprise that the US is still tracking the victims of their radiation experiment. The use of X-ray imaging would be irresistible to certain military minded people, because it is difficult to detect, and non-visible. Detailed images could be made surreptitiously at night using X-ray scanner technology, and over great distances. Too bad X-radiation exposure is unhealthful, but no problem, if you intend to kill the people you are spying on. US gets this. It would be likely that the weather control experiments have something to do with it as well, the aluminum flakes obscuring the X-ray scans. Want more visibility for your X-ray scanner? Deplete the ozone. Sounds like #nwo to me. I don't think people understand how commonplace it must now be for the US to experiment on unwitting people including their own citizens. The model is that the scanners went in the airports, so that the US could easily track the people that they exposed to the scanning beam. The reason is obvious and widespread knowledge. They had planned to deploy far more X-ray scanners and they decide to study the effects on people. Dozens of corporations have dropped their funding of the right-wing American Legislative Exchange Council (ALEC). But now Google, Facebook and Yelp are helping to pick up the tab. Tell those internet giants not to fund ALEC. It would be pretty cool to build your own assault rifle. DIY. I'm ready for the Thanksgiving dinner conversation. I just signed this petition -- will you? I just took action to demand Kmart respect their workers and allow them to spend Thanksgiving with their families. I think you should too! I just signed this petition about #GMO salmon -- join me? I just voted for a better world. As a member of the CREDO community, I get to vote to distribute CREDO's annual donations to a wide range of progressive groups. Some of the groups we are supporting this year include Free Speech for People, Rainforest Action Network, the National Gay and Lesbian Task Force and Women for Women International. Good news: You can vote too! It's free. Just go to credomobile.com/vote to get started. Thanks for helping me build a better world. YES on 522 - Label GMOs in Washington State! I signed the petition "YES on 522 - Label GMOs in Washington State!". I'm asking you to sign this petition to help us reach our goal of 25,000 signatures. I care deeply about this cause, and I hope you will support our efforts. The U.S. State Department revoked the passport of NSA whistleblower Edward Snowden, whose “crime” was to educate Americans and the world about the dangerous growth of the U.S. surveillance state. Tell Secretary of State John Kerry to give Snowden back his passport. "President Obama should seek explicit Congressional approval before signing any agreement to keep thousands of U.S. troops in Afghanistan indefinitely for a new mission after 2014. Members of Congress should support efforts led by Barbara Lee, Jim McGovern, and Walter Jones to force a Congressional debate and vote on whether to keep thousands of U.S. troops in Afghanistan." This is getting abit dated, but many of the links are still quite useful.